FOX has confirmed a crossover event between hit shows Sleepy Hollow and Bones, likely to air next spring. TVLine confirmed the partnership of the two flagship Thursday evening dramas, which seems like an odd but intriguing combination. We can’t wait to see how forensic investigators Temperance and Seeley get along with time-traveler Ichabod and cop Abbie! Rumours have been circling about an “epic” television crossover on a major US network for the past few months, with claims that both shows would be very different from one another. Well, that’s certainly true! Sleepy Hollow is a modern adaptation of the Washington Irving classic, in which Ichabod Crane (and the Horseman) time-travel to modern day New York where they continue their feud (of course). Along the way, Ichabod meets New York cop Lieutenant Abbie Mills, and the two become partners who take on evil supernatural forces. Bones, on the other hand, is a long-running crime procedural drama, about a team of forensic investigators handling FBI cases. Apart from the casting of Angel actor David Boreanaz in a leading role, we can’t think of much else supernatural about Bones! We look forward to the difficult (but probably amazing, judging by these two shows) storytelling that will take place to bring two very different sows together. We also hope other networks heed the example. Next season’s True Detective and Game of Thrones, anyone? 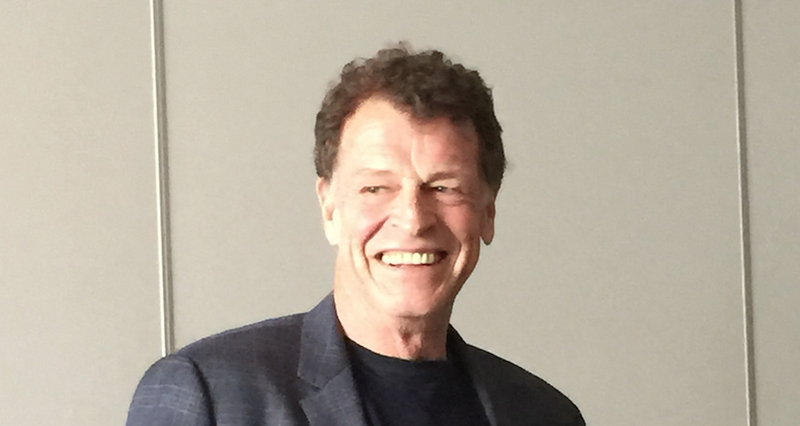 As part of our special MCM London Comic Con coverage, we met up with Sleepy Hollow and Fringe star John Noble during a press conference to discus whether he would make a return to either show in the future. Asked if he would agree to make another appearance on the show (it’s Sleepy Hollow, he can return from the dead, sure) Noble said, “yes in theory,” but added he had a busy schedule coming up for the next year.